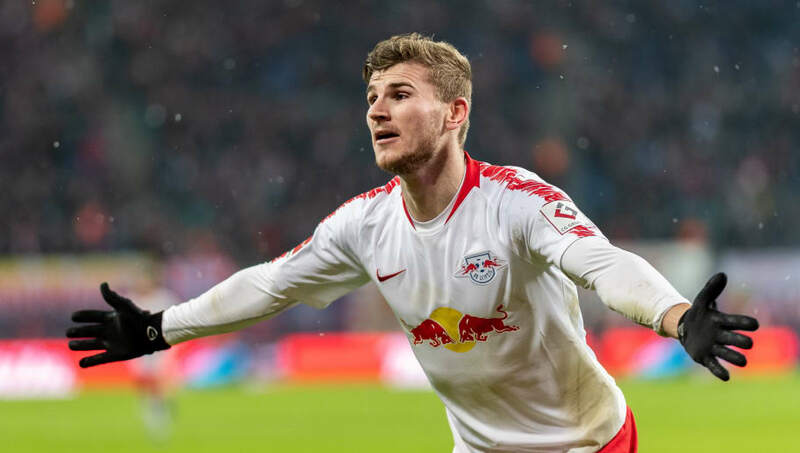 ​Liverpool have again been linked with RB Leipzig forward Timo Werner, in a report that claims the Reds will look to sign another centre forward and a 'number ten' this summer. Jurgen Klopp has made it clear that the club will make no first team signings this January, as the Reds look to win their first top flight title since 1990, and the attentions of those behind the scenes involved in the recruitment process are focussed squarely on the summer window, when Werner could be an option. ​David Lynch of the Standard writes that Klopp and Liverpool will look to bring in a 'number ten' in the summer, with that position still a priority after last year's high profile saga involving Nabil Fekir ended in ​Liverpool pulling out of the deal at the 11th hour. In addition, a new centre forward is 'certain to be required' according to Lynch - formerly an in-house journalist for Liverpool - with Germany international Werner name-checked as an option. 22-year-old Werner was linked with Liverpool by German media outlet ​SportBild as recently as last week, when they claimed that the likely departures of Daniel Sturridge and Divock Origi had prompted the Reds interest. They also claimed that Liverpool will face competition from Borussia Dortmund, as well as Bayern Munich and Tottenham. While Liverpool might be reluctant to do business again with RB Leipzig following a protracted saga for the signing of Naby Keita, the fact that Werner's contract only runs until 2020 may give suitors hope of an easier negotiation process. Werner has 11 goals in the Bundesliga this season, as Leipzig sit fourth after 17 games.